Long time no talk! I hope you all created some fantastic holiday memories and are now comfortably settling into the new year. It all passed so quickly, didn't it? So, good news. At least for me anyway. Look what I have in my possession. 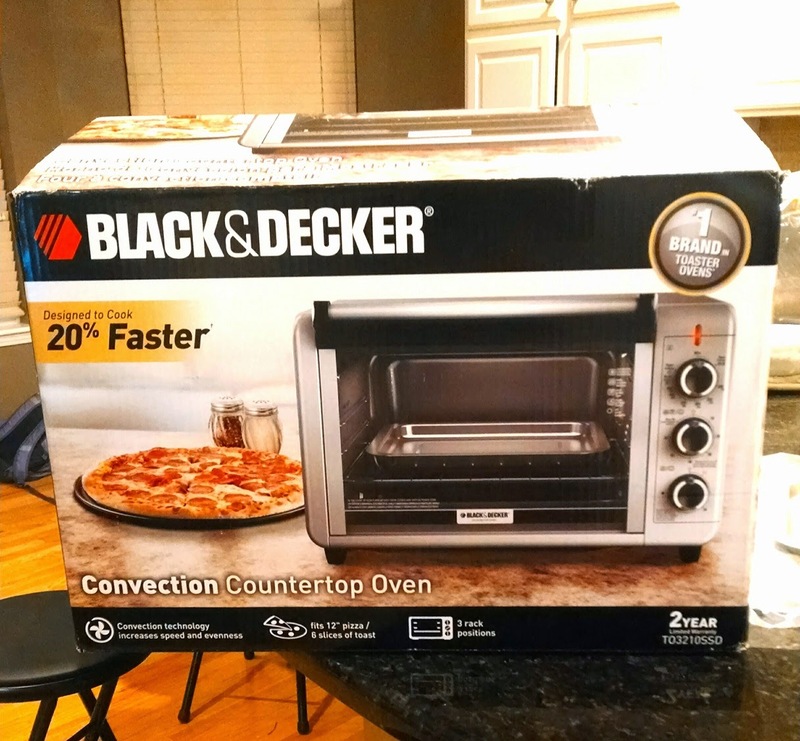 Yup, that's right, it's a handy dandy countertop convection oven. I actually asked for this for Christmas but my husband wouldn't buy it for me as a gift. 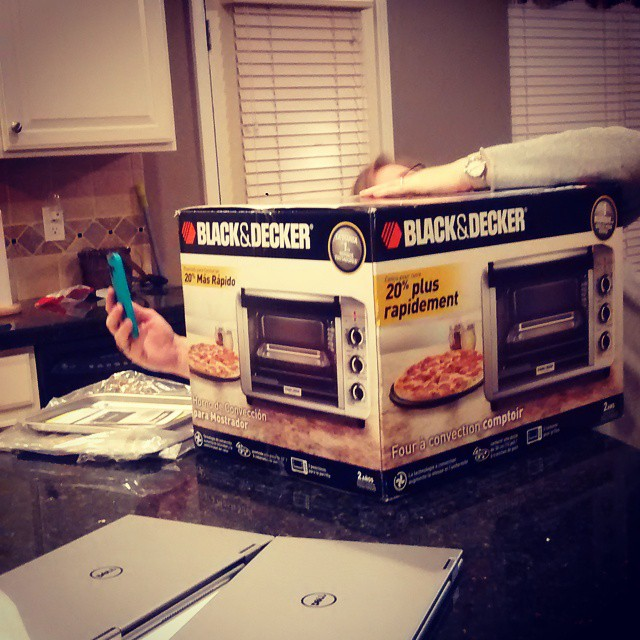 It's a long standing rule of his that he will not buy me appliances, tools, or tires as gifts. He watched a few of those things being given to his Mom when he was younger and well, it must not have been good outcome because he won't buy those items as gifts, even if I ask for them. It's sweet, really. Despite his refusal to buy it as a gift, I did get it and I'm SO EXCITED! Any guesses why I wanted it? Yep, this little appliance is a crafter's friend. I won't use it for food but instead it will be used for my clay creations. I'm ready to pull out my clay again. I've missed making clay creations and this handy dandy contraption will make it even easier without hogging up the oven in the kitchen. 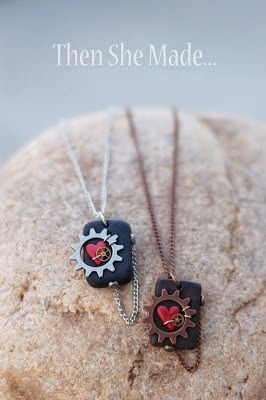 I have long list of things I want to make but first up is some new Valentine's necklace designs. I'll post tutorials soon but in the meantime, if you are looking for a little something to make of your own. 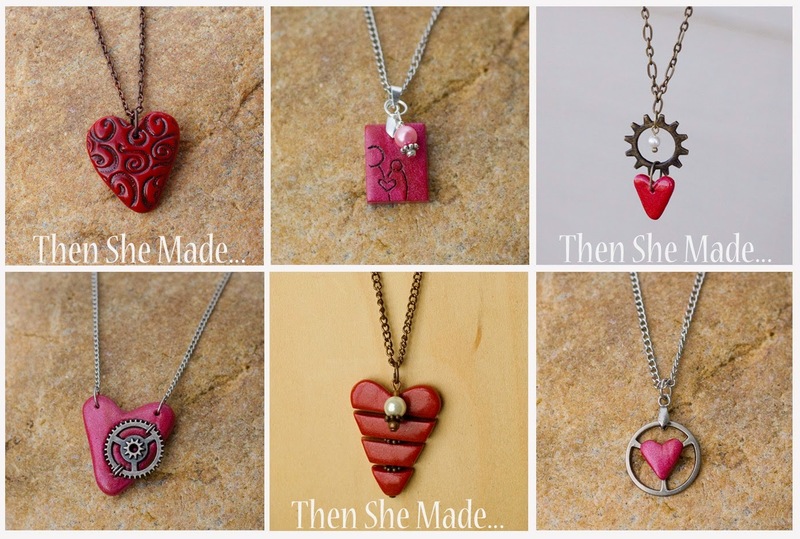 Here are two of my most popular necklace tutorials - and they have hearts so that makes them perfect for the upcoming weeks now that we are shifting from Christmas to Valentine's. And just for fun. Here's a photo Miss M took on her phone of me and my new friend. Miss M was watching me try to take a selfie with my new toy - I say "try" because it's hard to take a selfie with a large box. I had no idea she was watching or photographing me until she told me to check her Instagram. She posted this on Instagram and on facebook, too. Mr. K said her caption and photo about made him fall off his chair laughing. We are a bit strange 'round these parts. And, just to show I'm a good sport with it all, here's the selfie I took. Happy Crafting to you all! 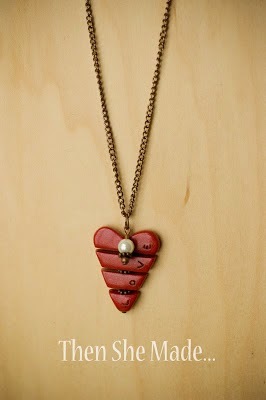 Now, go play with clay and make some heart jewelry. That's what I will be doing should you need me. I love the Jewelry that you have made. They are gororous. I can't wait to see what else that you make. Thank you for sharing. Totally LOVE your gift!! EXCELLENT for your clay art! Can't wait to see your new creations! Happy you are HAPPY!! 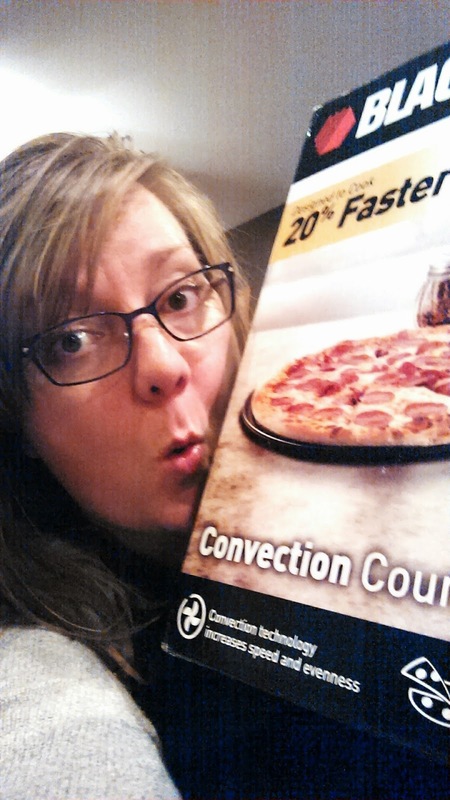 Do you cook it differently in a convection oven?